Marine Electricals IPO Description - Marine Electricals is an integrated electrical and automation solution provider dealing in comprehensive electrical solution across industries with significant presence in Marine sector (Indian Navy, Commercial Shipbuilding) and Non Marine sector (Data Centre, Building Management Systems, Industrial etc). The company provides solution in Low Voltage, Medium Voltage and Industrial Automation backed by In-house Product Design & Development, Manufacturing, Installations and after sale service. The company has business relationships with global electrical players like Schneider Electric, Siemens, GE. Further, it has entered into an agreement with NLC India Limited to provide Solar Power Evacuation system, thus venturing into the renewable energy segment. The company’s manufacturing facilities are certified as per ISO 9001, ISO 14001, and OHSAS 18001 for the Quality Management system, Environmental Management System and Occupation Health & Safety Management System respectively. Its manufacturing facilities have all the latest CNC bending and turret punching machines to deliver equipment within the demanding tolerances to meet the requirements of latest globally offered panels, this is also supported by its pre-treatment and painting facilities. 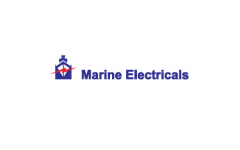 Marine Electricals IPO allotment status is now available on Bigshare Services' website. Click on this link to get allotment status.